Was Michele Bachmann betrayed by Unification Church fellow travelers? This article was presented to NewswithViews and it will be published there. I am, as usual, giving my own blogspot readers a "sneak preview." Your comments are appreciated. WAS MICHELE BACHMANN BETRAYED BY PETER C. WALDRON AND UNIFICATION CHURCH INTERESTS? I have never belonged to the Tea Party or any of its affiliates. That is not to say that I oppose many of their aims. Their tactics, rhetoric and strategies have often not coincided with my own notions of effective advocacy. That being said, today I find myself in the deepest sympathy with one of their most prominent personages -- Congressman Michele Bachmann. I strongly suspect she has been set up and betrayed by a skilled political operative who has skillfully worked the Christian world while simultaneously enjoying financial backing from Unification Church interests. His name is Peter C. Waldron. He was on the news A LOT today bragging about the complaints he had filed against the same boss he claimed the Holy Spirit had sent him to – Congresswoman Michele Bachmann. I pioneered much of the preliminary expository work against the New Age Movement starting in 1981. From 1982 to 1986 from time to time I was interviewed on a program called CONTACT AMERICA by its founder and host Pete Waldron. As he did with Michele Bachmann, Mr. Waldron long professed to be one of my dearest friends and supporters. As Michele Bachmann undoubtedly did, to her regret, I trusted him and took him at his word. This came for me to a crashing halt in February 1986. Peter Waldron, who skillfully worked the two sides of what I call the "false dichotomy" of the two sided coin of dogmatic pre-tribulation rapture proponents ("LEFT BEHIND") of Tim LaHaye as well as the "we'll build the Kingdom of God here on earth -- in time, in space, in history" of Gary North and Pat Robertson, clearly had the help of a sinister "third force" of Unification Church money. That money tainted and bought silence against attacks on the New Age Movement, or at least the Unification Church faction thereof. Michele Bachmann has always impressed me as a sincere Christian, one who has been unfortunately used by the so-called “Christian Reconstruction Movement” elements. One of her key legal mentors was John Eidsmoe. I made his acquaintance over the years as he too unsuccessfully sought my endorsement of the Christian Reconstruction agenda. I do not know where he stands on these issues now as I have not talked with him since our initial meeting over dinner in the 1980s before Gary North showed his real colors -- sending a letter that "Constance Cumbey will have fits when she sees our next book." Gary North was calling for his own "New World Order" -- machinery he claimed would be "for Jesus" and call for cruelly putting to death their opponents. He was right. I had fits! The Christian Reconstruction agenda was largely pioneered and headed by Gary North and his allegedly estranged father-in-law, Rousas John Rushdoony. They too were going to build "a New World Order" -- for Jesus, or so they said. Their loudly proclaimed agenda was building the perfect rationale for treating American Christians as Taliban / Al Quaeda precursors. They would kill their opposition, starting with dissidents against same in conservative Christian circles and take over the world by fire and by sword -- for Jesus, of course! Like Al Quaeda and the Taliban, the Christian Reconstruction Movement publicly displayed their anti-Semitism and hatred of the Nation of Israel. Their books, tapes, and pamphlets gave rich material to anti-Christian elements to label the rest of us as "dangerous." Peter C. Waldron and Gary North publicly collaborated and co-wrote one of the foundational books of the Christian Reconstruction Movement -- REBUILDING THE WALL. Among Michele Bachmann's acknowledged mentors were those who tried to be my own. They sought to co-opt my opposition to the New Age Movement to be construed as support for the Christian Reconstruction Movement. There have long been false dichotomies between the Christian Reconstruction Movement and the Pre-Tribulation Rapture Movement. In my studied opinion, they are two sides of the same coin – both movements wittingly or unwittingly preparing people for end time disillusionment and deception. Pete Waldron has had strange long-time alliances with both sides. He has had close friendships and working relationships with both Tim LaHaye and Gary North. I was personally acquainted with Peter Waldron, although it has been nearly 28 years since I last spoke with him. Prior to our last encounter in February 2006, I was interviewed on several of Mr. Waldron's radio programs "Contact America." Then came Colorado Springs, Colorado -- February 1986. I was the keynote speaker there for an Eagle Forum conference. Peter Waldron was another speaker. I opened the conference on Friday night. Saturday featured a panel discussion and workshops. It was then that we shared the speaker’s platform. I considered our relationship cordial. Immediately prior to the conference, we had both flown from Washington, D.C. I would be continuing on to Denver to speak whereas Peter Waldron would be returning that same day. My assigned topic was New Age infiltration of the Christian world. One of the biggest and most flagrant example of this was Unification Church payouts to Evangelical churches and ministries. The month before we both spoke, an article appeared in Mother Jones magazine. It raised serious issues of compromised relationships between certain leaders of the Christian Right, to wit, Tim LaHaye and Unification Church. The article was fairly written. Its author said that she did not intend to imply that most evangelical Christians would endorse Rev. Moon -- to the contrary, most would consider Bo Hi Pak, number two in command of Unification Church -- a church proclaiming the divinity and messiahship of Rev. Sun Myung Moon, to be nothing less than "an altar boy to the antichrist." Well said. I was wishing I had that article with me as Exhibit A on my required presentation. I had not brought it. Fortunately, Jayne Schindler, Colorado Eagle Forum president had packed it with her. She asked me to comment on it. As my Saturday timed presentation was nearing an end, I merely said that this was one more sorry example of how New Age interests were co-opting and compromising Christian circles. Pete Waldron flew home to Washington, D.C. and swiftly delivered this to Rev. Tim LaHaye who was already doing damage control on the expository article. I detailed what happened next as part of my 2006 NewswithViews series on "the Hi-Jacking of Evangelicalism." Links may be found by clicking here and here. My educated guess? I don't know Michele Bachmann. She, however, strikes me, at least from her public persona, as a sincere and dedicated Christian. She may have been taken in for a time and a season by the Christian Reconstruction crowd, but in my opinion, she would never consent to compromise of her faith. She has now been apparently used by those a little more cynical who have few qualms about using Unification Church moneys to build "God's Kingdom" or more likely their own personal kingdoms. Peter Waldron sought me out and then betrayed me when he discovered I staunchly opposed Unification Church interests and their evangelical fellow travelers, whether for ideology or more likely for money. Peter Waldron, per published accounts, has worked closely with one Bob Selle, a leading Unificationist and publisher. This was apparently preceded by his relationship with Tim LaHaye who was clearly financing portions of his operation from Unification Church contributions from what he called "a fine conservative gentleman -- Bo Hi Pak." I recall so clearly events of the Monday after the Saturday speech in Colorado Springs. That day included a lengthy telephone debate cut short by Tim LaHaye by a hangup. The call was on "his nickel" and was placed by him to me in Colorado Springs. Wanda Leonard was present when these events transpired in the second week of February, 1986. I also learned the next month that Beverly LaHaye had given instructions to her Concerned Women of America leadership conference that under no circumstances were they to give me a platform. My guess is that as a true Christian, Michele Bachmann was of little long-term use to the more cynical elements of the Christian world who viewed success in terms of money rather than righteousness. I'm sure that Peter C. Waldron will now be a new hero of the left-wing elements who have been crowing about her imminent demise. I'm sure they won't cry about her over at Unification Church either. After all, Michele Bachmann believes Jesus -- not Reverend Moon is the true "Lord of the Second Advent." As such, it is my belief based on experience that there is little room for her in the New World Order that some of Peter C. Waldron’s other friends such as Unificationist Bob Selle desire. These things were well prophesied –there would be false messiahs, betrayers, false accusers. It appears to me that Michele Bachmann, a well meaning, courageous Christian who has had to deal with politics at a very public and mean level has now experienced same from those with a long history of questionable alliances and betrayals. I'm sometimes sent interesting books for review. 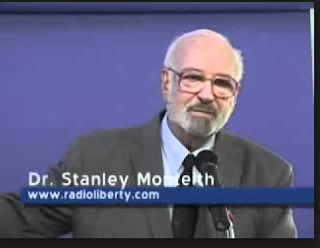 One of them was sent by Pastor John DeJacomo, a friend of Dr. Stanley Monteith. It is AGENTS OF CONTROL. I invited Pastor DeJacomo to share his perspective on current world events particularly as they related to scriptural prophecy. He will be with me the second hour. His book covers many of the same issues I covered over the years. We will have open lines for those who wish to call in and ask questions. Please join us for both hours. I'm currently working on an extensive article about current New Age infiltration of Roman Catholic circles among Catholic sisters -- not only in the USA, but many other places, including Australia where it appears to be particularly blatant. 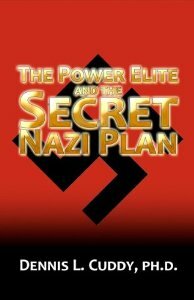 We are privileged the first hour of my program tomorrow morning on THEMICROEFFECT.COM or TMERADIO.com to feature Dennis Cuddy who will be discussing his most recent book, THE POWER ELITE AND THE NAZI SECRET PLAN. Dennis was kind enough to send me a review copy which I have perused with interest. We will talk about it the first hour of my two hour Saturday morning program on the Microeffect.com network. It will air at 7 a.m. Pacific time, 8 a.m. Mountain time, 9 a.m. Central time, and last, but not least, 10 a.m. Eastern time, the time zone for yours truly and Dennis Cuddy. Join us either in the chatroom or on the air live by calling 888-747-1968 or both! 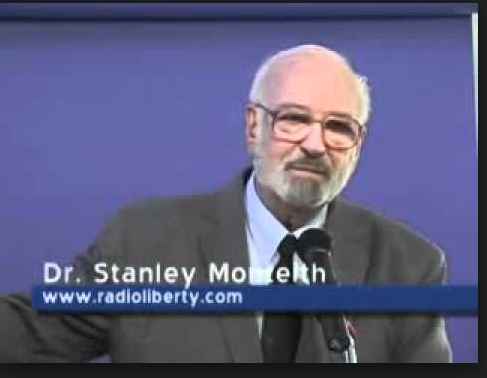 I had a lot of good response to Dr. Monteith's interview on my program last Saturday morning. He was telling us much that we had not heard before about what motivated him, a brilliant orthopedic surgeon to take up research on the critical topics he has. He will be back with us tomorrow on the air. He was so very pleased to hear that even Ruth of Exeter was listening -- all the way to England! Join us at 7 a.m. Pacific time, 10 a.m. Eastern time for the whole 2 hour program. Dr. Monteith will be with me again the second hour. That will be 8 a.m. Pacific time, 11 a.m. Eastern (New York) time.